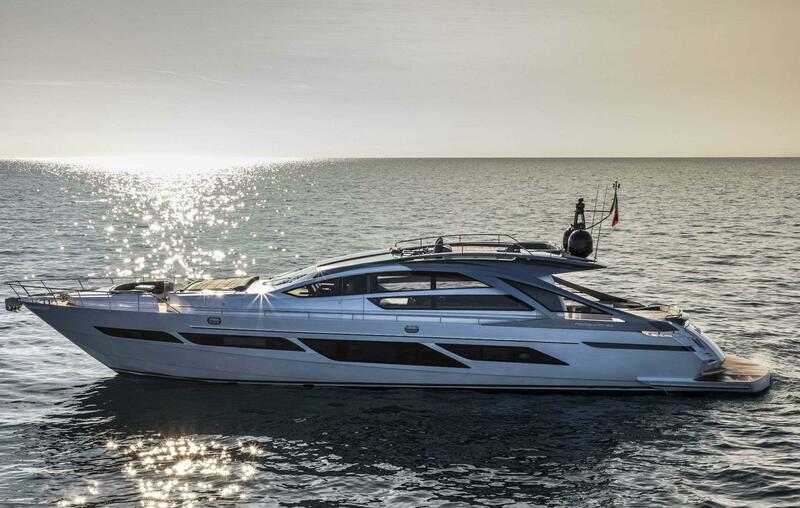 Pershing, a leading brand in the “Made in Italy” fiberglass open yacht market, has been manufacturing luxury open motoryachts for nearly 30 years. 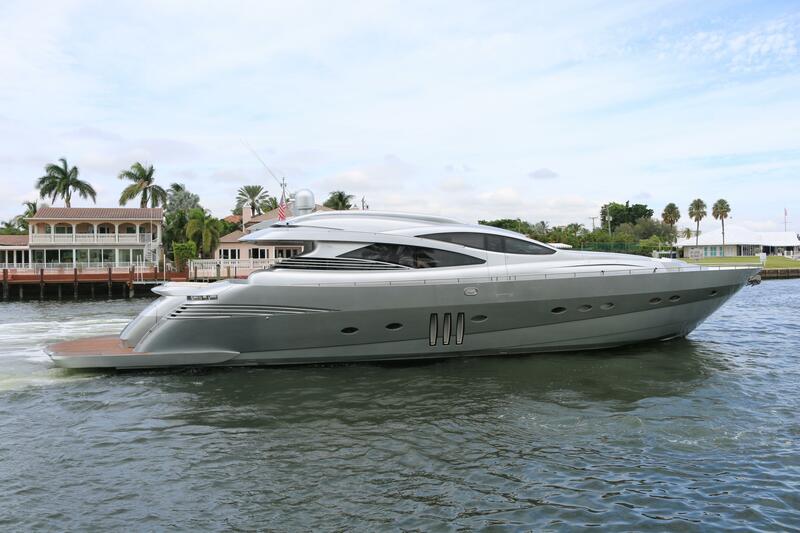 Pershing yachts are recognized for their performance, style, and comfortable interiors. 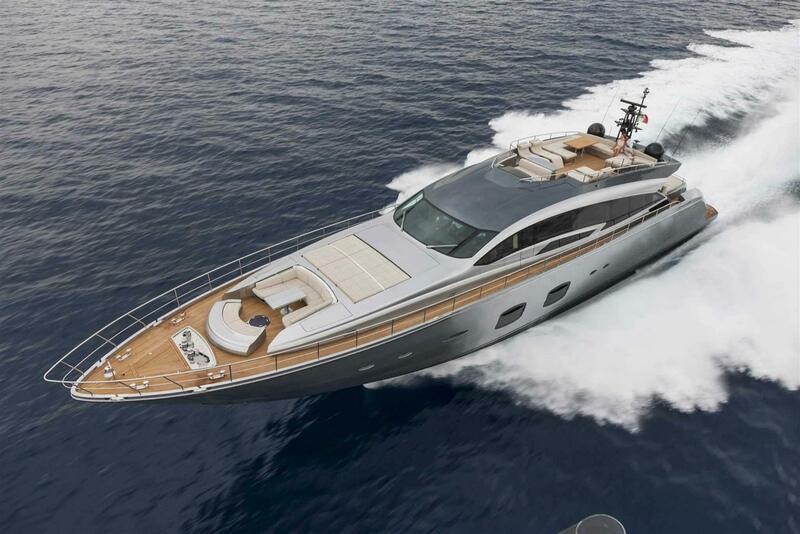 Pershing’s style and performance are created with a sporting trim line, peak speeds reaching 52 knots, and advanced construction methods such as powerful 7400 MHP engines, surface propellers, hydrojets, and gas turbines. 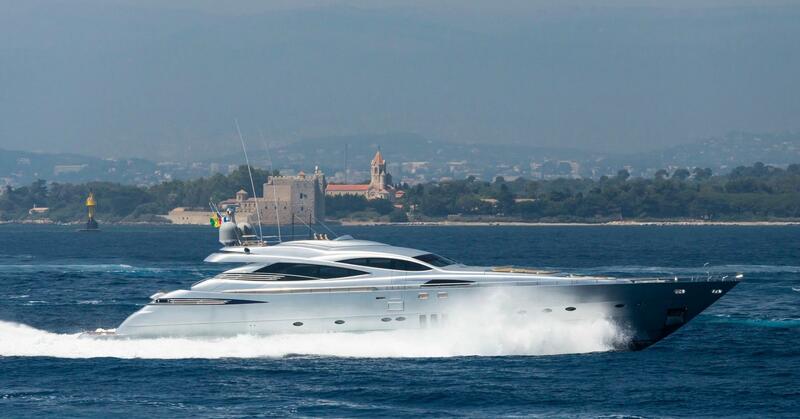 Worth Noting: The Chinese boating industry voted Pershing as the "Best Performance Yacht" of 2008. Pershing 33 1990 - 2000 33' 0" 9' 11" 3' 0"
Pershing 37 Open 1993 - Current 37' 0" 10' 7" 3' 3"
Pershing 40 1989 - 1997 40' 0" 13' 10" 3' 0"
Pershing 43 HT 2001 - Current 43' 0" 13' 8" 4' 3"
Pershing 45 Open 1987 - Current 45' 0" 13' 9" 3' 6"
Pershing 46 HT 2004 - Current 50 '6" 13' 7" 4' 7"
Pershing 50 2003 - Current 50 '0" 14' 4" 3' 11"
Pershing 50.1 2010 - Current 51' 11" 14' 4" 3' 11"
Pershing 52 1987 - Current 52 '0" 15' 5" 3' 10"
Pershing 54 1995 - Current 54 '0" 13' 5" 4' 0"
Pershing 56 2004 - Current 55' 9" 15' 9" 4' 1"
Pershing 56 Express 2006 - Current 56 '0" 15' 8" 4' 4"
Pershing 58 2011 - Current 59' 0" 15' 9" 4' 5"
Pershing 62 2004 - Current 62' 0" 16' 4" 4' 2"
Pershing 64 2007 - Current 64' 0" 16' 4" 4' 2"
Pershing 65 1997 - Current 66' 2" 13' 5" 4' 5"
Pershing 70 2013 - Current 70' 4" 16' 5" 4' 5"
Pershing 72 2006 - Current 73' 4" 18' 0" 4' 9"
Pershing 74 2012 - Current 74' 5" 18' 1" 4' 8"
Pershing 76 2002 - Current 77' 1" 18' 1" 4' 0"
Pershing 82 2012 - Current 81' 11" 18' 0" 4' 7"
Pershing 88 1999 - Current 88' 5" 20' 5" 5' 5"
Pershing 90 2005 - Current 90' 0" 20' 5" 7' 1"
Pershing 92 2010 - Current 91' 11" 20' 6" 5' 6"
Pershing 108 2003 - Current 109' 2" 22' 0" 6' 0"
Pershing 115 2008 - Current 116' 0" 23' 7" 5' 3"
For more than two decades Pershing has amazed international yachtsmen, boasting incredible lines and amazing performance. 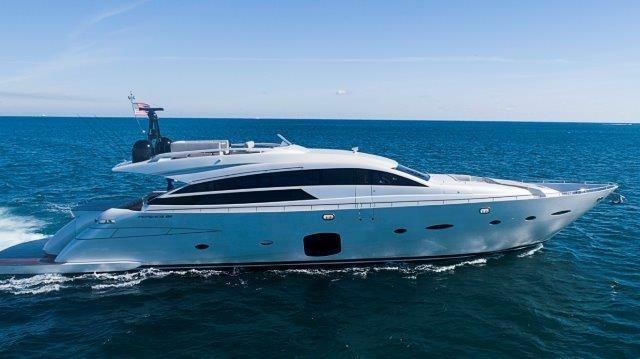 In the late-1990's Pershing Yachts was acquired by the Ferretti Group, and began making a huge impact on the American market. Pershing's commitment to ultra-high quality construction and finishing limits their production to about 40 yachts per year. 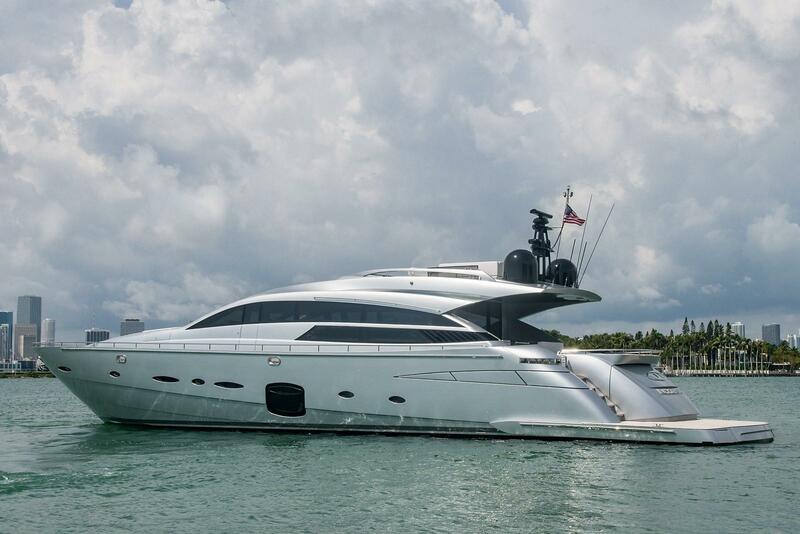 After boarding a Pershing, it's easy to see why they garner such high-demand (and high price tags) worldwide. Few international manufactures can compete with Pershing's reputation as the premier builder of high-end performance yachts in the world.